Remembering 607 Squadron – Spitfires over Burma! Reunion of 607 Squadron. 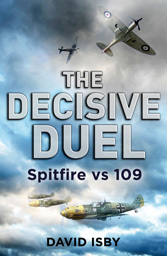 A photo of one of their Spitfires, with their “AF” codes appears in THE DECISIVE DUEL. The squadron saw some of the heaviest air combat over Burma.